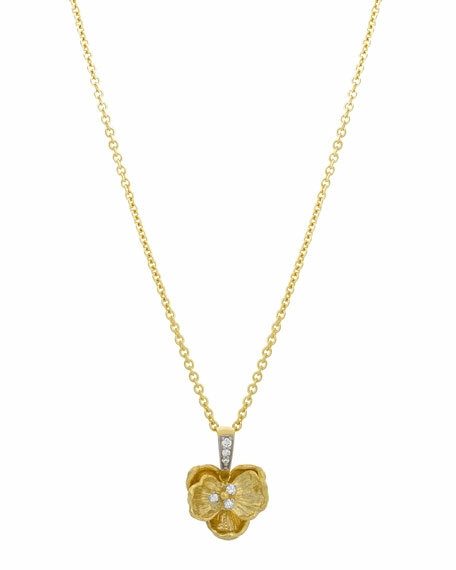 Michael Aram orchid pendant necklace. Diamonds trim bale and pendant. 0.065 total diamond carat weight.